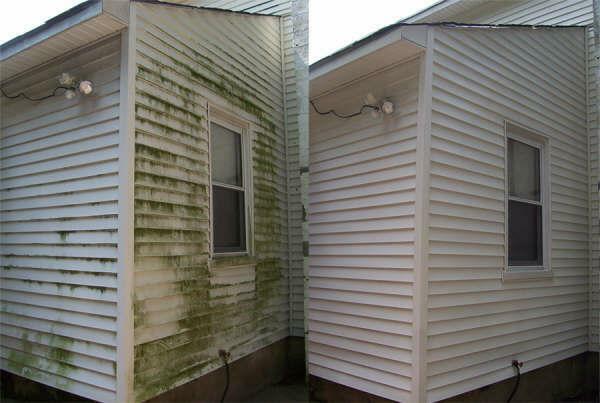 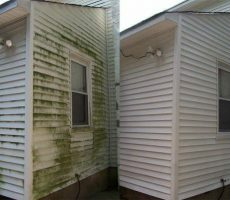 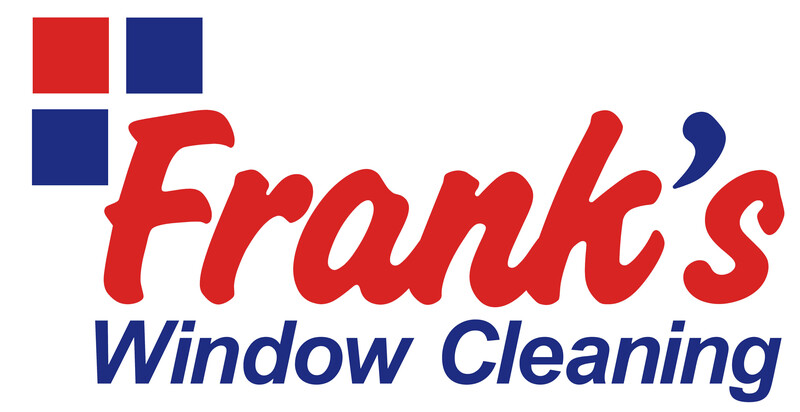 At Frank’s Window Cleaning Services, we love seeing a homes exterior transformed with a deep clean – but not all exterior surfaces can withstand the rigors of pressure washing. 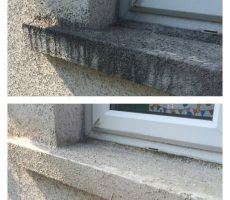 This is where soft-washing can provide amazing results! 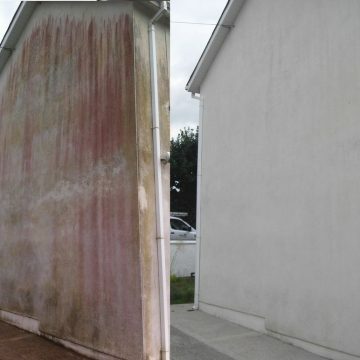 Soft-washing uses specialist detergents to gently clean exterior surfaces, removing green and red algae, lichen, moss, along with general dirt and grime. 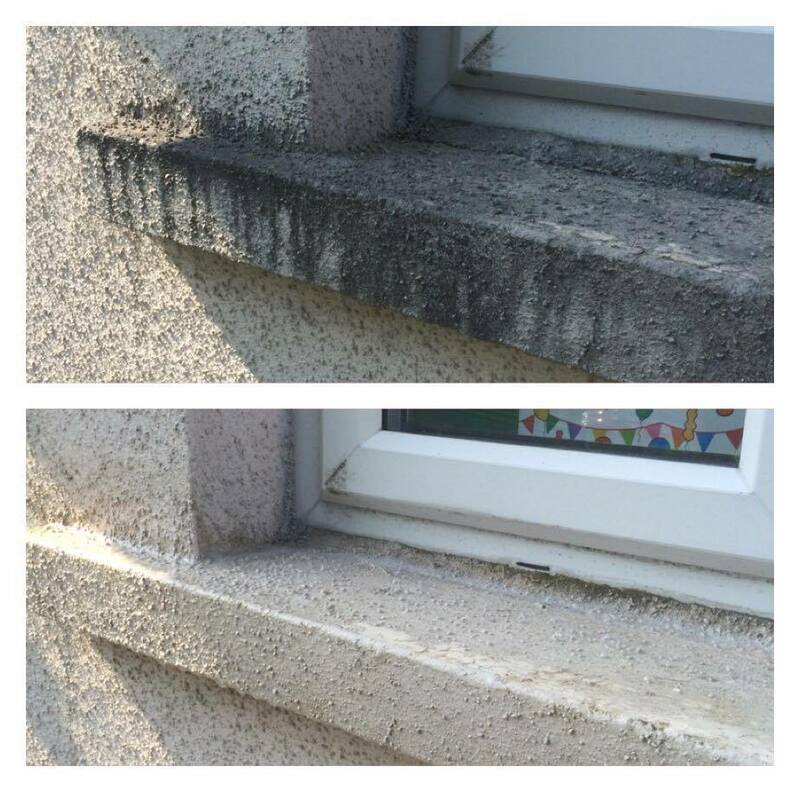 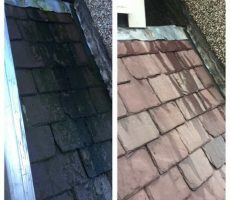 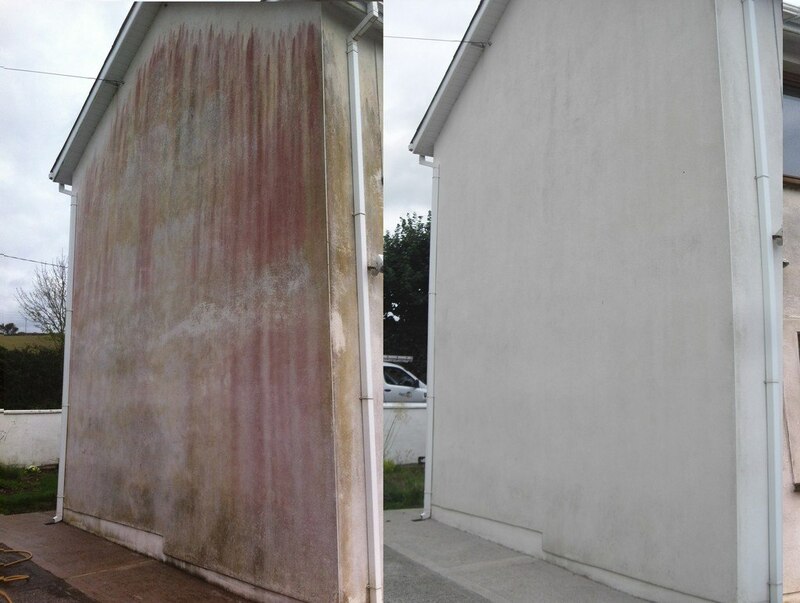 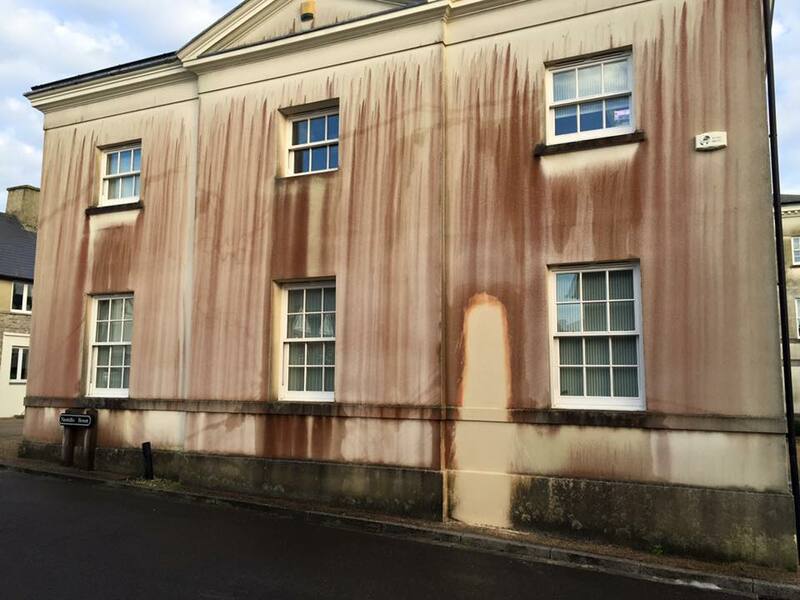 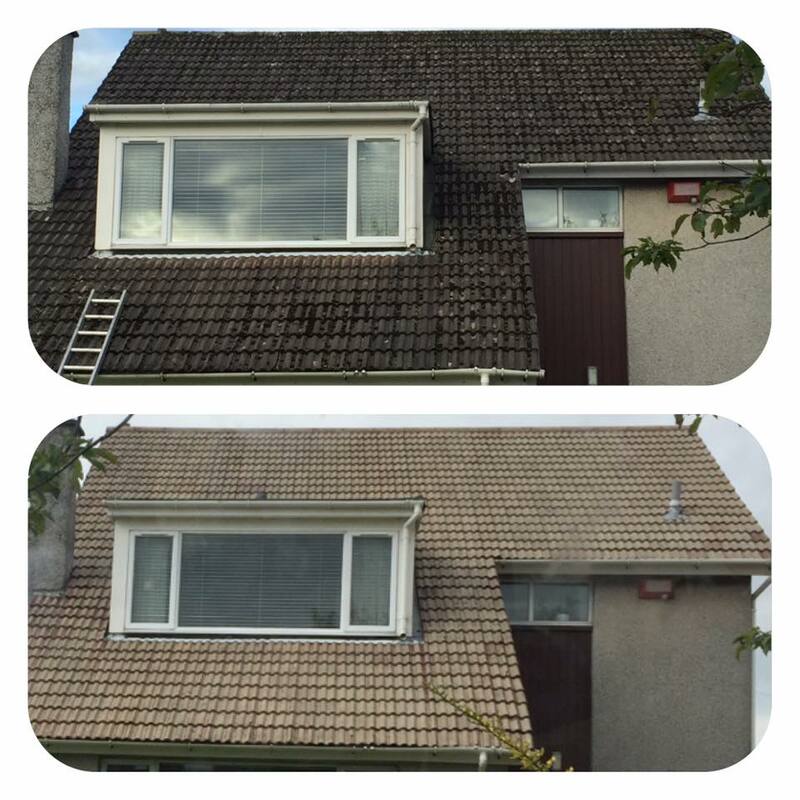 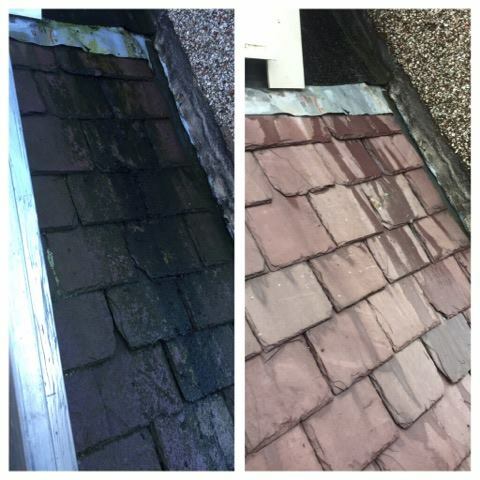 Soft-washing is especially good at cleaning K-render, painted walls, roof tiles, timber cladding, natural stone, and other surfaces that might suffer damage from high-pressure cleaning. 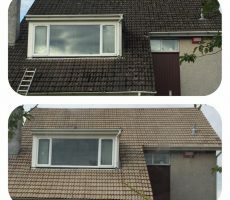 Another advantage of soft-washing is that it can reach further without access equipment. 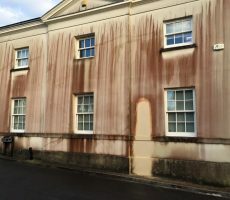 For pressure washing the operator needs to be up close to the surface and this often requires scaffolding or a cherry picker. 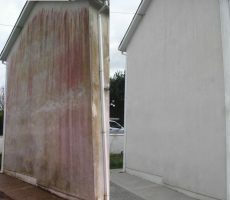 Soft-wash detergents can be sprayed from a distance of up to 20 feet, so the need for access equipment is greatly reduced.